1 of 2 In a large saucepan, bring water, butter and salt to a boil, then slowly whisk in grits. Lower heat and cook, stirring often, until grits become soft and creamy, about 20 minutes. 2 of 2 Set aside 3 tbsp grated cheese. Remove grits from heat and fold in remaining cheeses and the red pepper. Heat broiler. 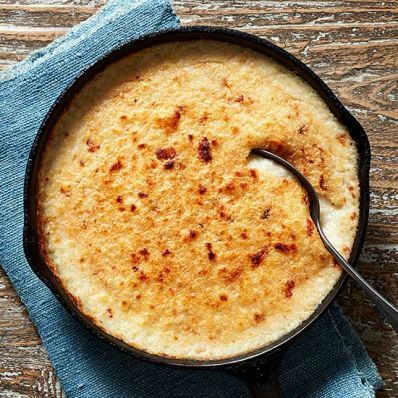 Transfer grits to a medium skillet and top with reserved cheese. Broil 3 to 4 minutes, until browned.